Al Neal is the leading researcher on the Infinity Bible Code. His findings have been published in videos, audios, and books. This Code opens the Bible up to a deeper understanding and the average person can use the principles of it without the need of computers. The book The Two Witnesses presents a Bible Patterns Code and it is similar to the results that are obtained with the Infinity Bible Code. The format of the book presents very detailed layouts of patterns of scripture found throughout the Bible. Some of the findings show that history repeats itself according to these Bible patterns. To what level of predestination are the events of time taking place? There are serious theological implications to consider. 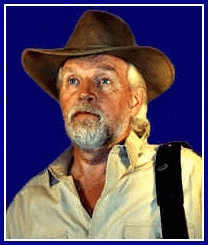 Ron Wyatt and crew were premier Bible archaeology explorers during the 1970's, 80's, and 90's. They discovered many sites associated with the events of the Bible. This link will take you to the page containing summaries of their amazing findings and it also has website links so the Bible student can study further.